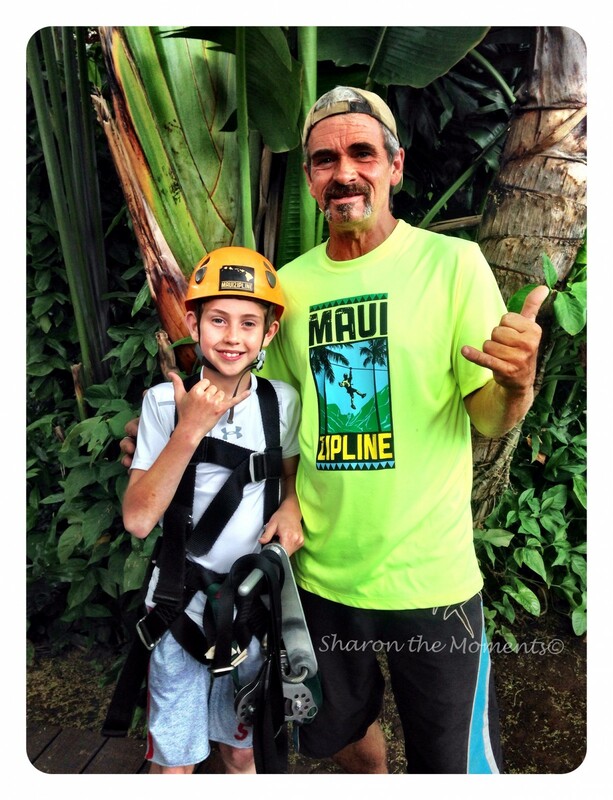 Maui Zipline Company is a wonderful zipline adventure for the entire family. 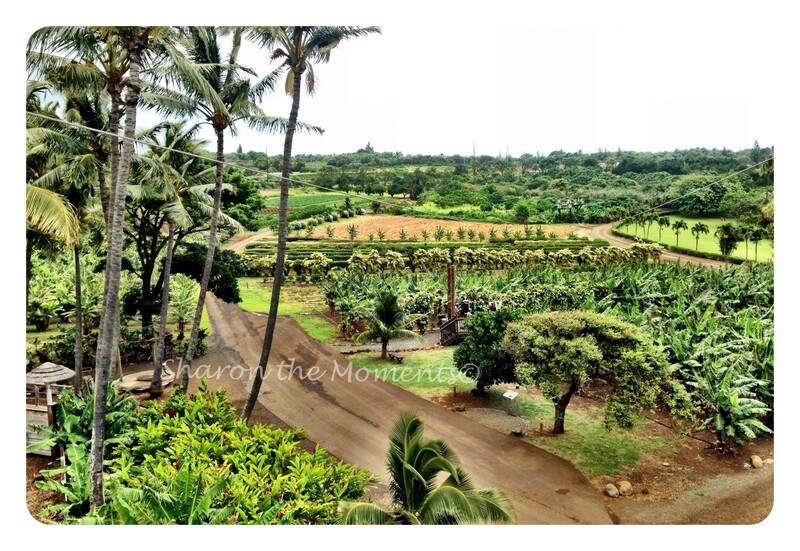 My family recently visited Maui, Hawaii and was excited to learn about this zip tour through the Maui Tropical Plantation located in central Maui. 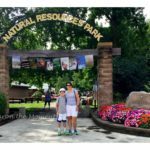 We wanted to experience the beauty of the island, have the thrill of a zipline without such extreme speeds and something the entire family can enjoy together. 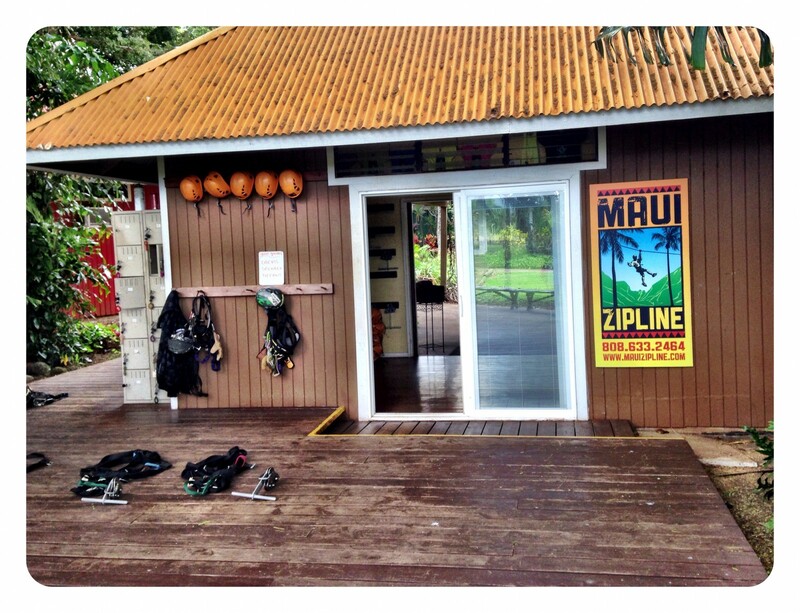 With zip lines ranging from 300 – 900 feet, Maui Zipline Company fit it all and exceeded our wishes. 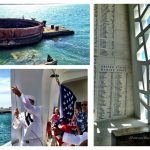 We had a morning reservation at 9:00am; so arrived about forty-five minutes prior to our zip tour to complete the paperwork and get suited up. Our energetic guides, Kip, Tiffany and Chevis with comforting smiles, greeted us. 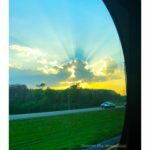 The weather teetered on chilly that morning and the sun was making every attempt to shine through the clouds. It was going to be a great day to be zipping through the air, overlooking the West Maui Mountains and enjoying our time in Maui. 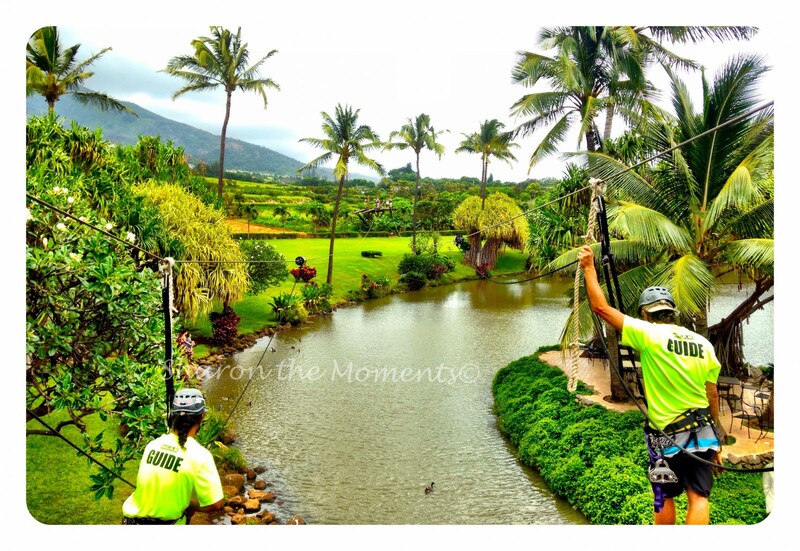 Maui Zipline Company is the only hands free; kid friendly (as young as age five) Zipline tour on the Island. 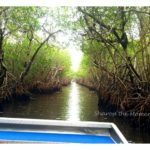 There is also the option of a member not wishing to Zipline to observe the tour from the grounds of the plantation and the lagoon area. 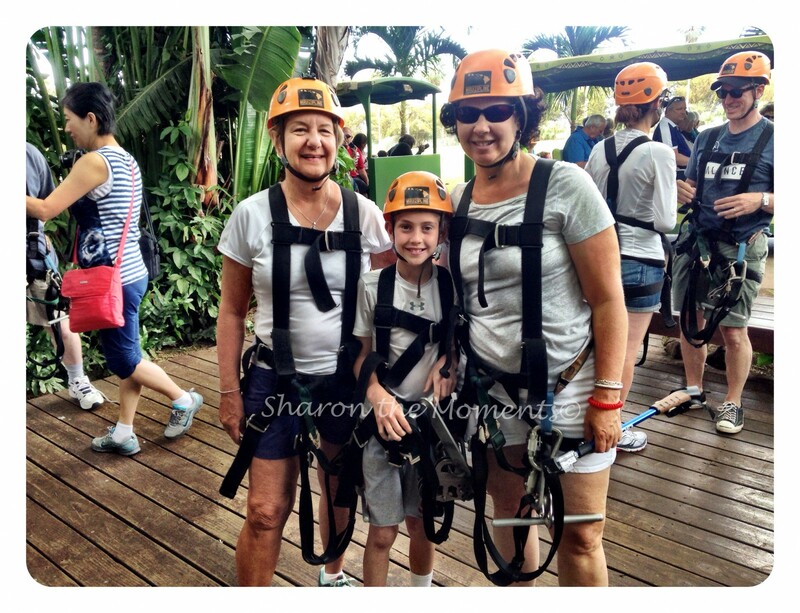 Once our paperwork was completed, we began our adventure with our guides getting into our harnesses, reviewing safety rules and becoming acquainted with fellow zip liners. 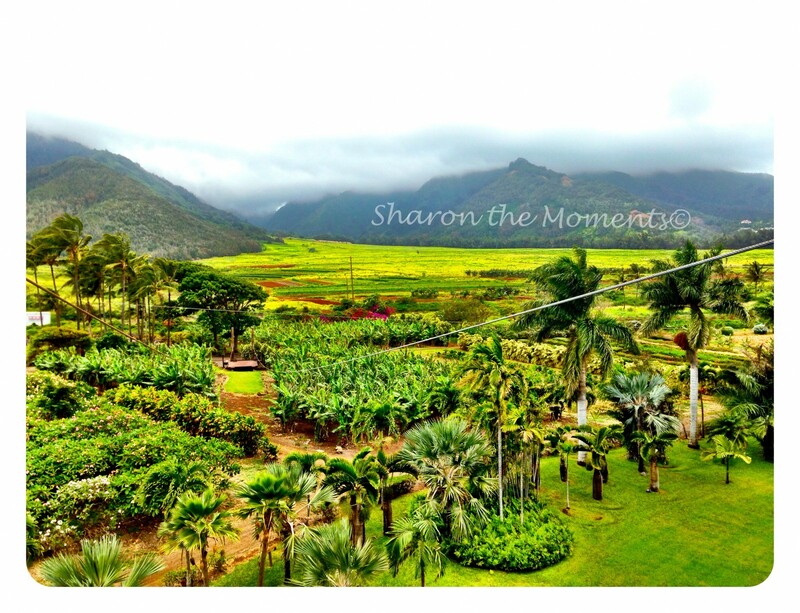 This Zipline sits in the middle of the Maui Tropical Plantation in Central Maui; with wonderful views of the plantation, lush landscape and the surrounding mountains. After our introductory briefing, Tiffany lead the way from the hut to our first tower. 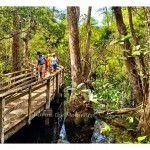 She was very knowledgeable in pointing out many of the flora and fauna along the way. Our tour began with a climb up the first four-story observation tower which would then lead us through a five-line tropical adventure lasting about two hours. 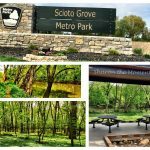 Along the way, we could take in the scenic views, enjoy meeting the other families in our zip group, and watch our guides share several hands free zip poses. (There was the Superman, the Scorpion and the Coconut to name a few). After our final landing flying in over the Tropical Plantation Lagoon, we decided to enjoy the grounds from the ground. 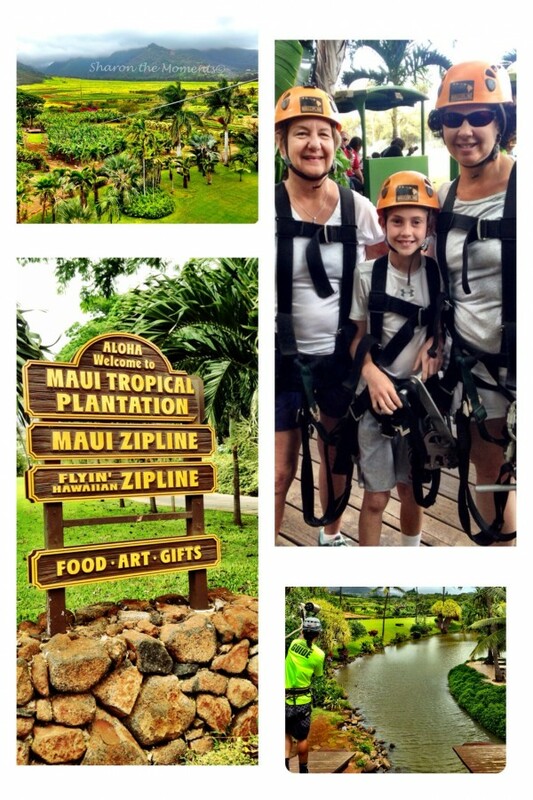 We loved the Maui Zipline Company and were pleased with the professionalism, the friendliness and the affordable adventure for the entire family. 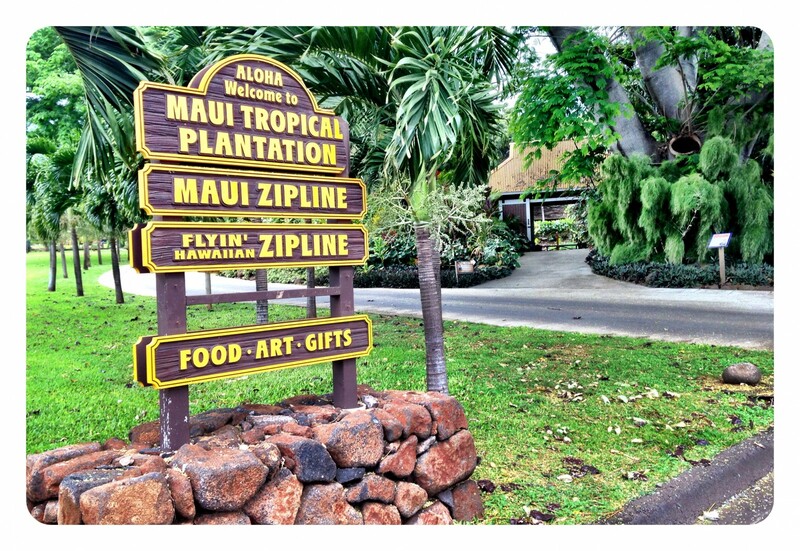 Thanks again Maui Tropical Plantation!